Below 4,000 rpm? Feels stock. Above? That's different. There’s no shame in buying a new Ford Mustang GT and keeping it stock. The 400 hp from its 5.0-liter V8 is more than you could probably ever need. Probably. We’ve seen all sorts of modified Mustangs over the years, ranging from the tasteful to the, uh, not so tasteful. But typically the results turn out just fine with only a few bad apples. 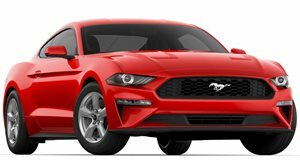 But Gears and Gasoline recently caught up with Mustang GT owner Ryan, who added an additional 600 ponies or so because it just seemed like the right thing to do. Turns out, it wasn’t an especially expensive or arduous task. The added power comes courtesy of a 930whp ProCharger centrifugal supercharger, which helps to provide a grand total of just under 1,000 hp. That’s obviously more than, say, the also supercharged Dodge Challenger Hellcat, but the question is what’s it like to drive? Is this something that’ll literally take off on you if you’re not prepared? Will you end up wrapped around a tree? No. Not at all. Keep it under 4,000 rpm and you’d never know it had 1,000 ponies. It’s that close to stock. Even the exterior remains nearly factory fresh. A downside? Try 8 mpg. It is a terrible commuter car, but that’s about the worst it offers.